We can authoritatively say that JAMB has released some of the 2017 UTME results that were withheld. We cannot say how many of these withheld results that have been released at these time because JAMB is yet to make any official statement to that effect. Nevertheless, many candidates with issue of "No Result Yet" previously have been able to access their results this morning. We advise all candidates who were unable to access their Results before now to proceed to check their scores. Do not forget to come back here and share the good news with us. Goodluck! 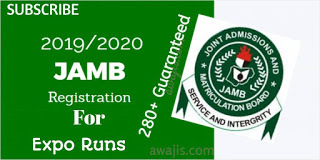 0 Response to "JAMB Releases Some 2017 Results That Were Withheld"